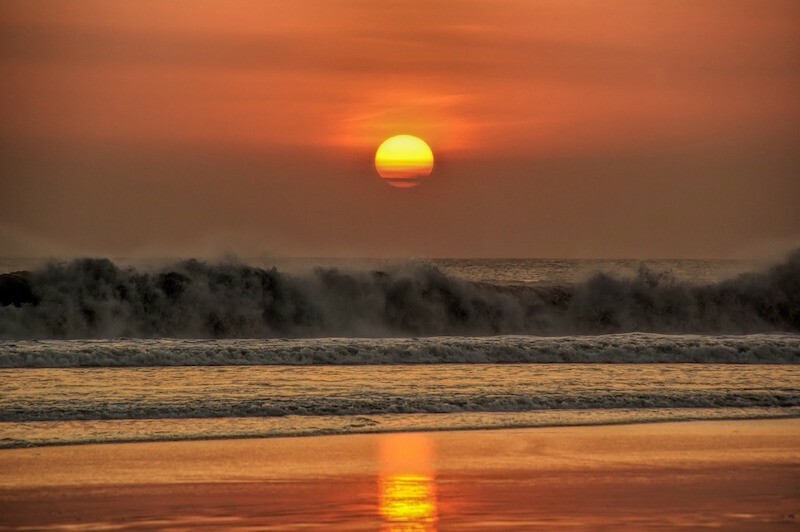 If you are interested in a laid-back, relaxed experience, then you can’t go wrong with Legian Beach. Located in south Bali, close to a few other popular places. 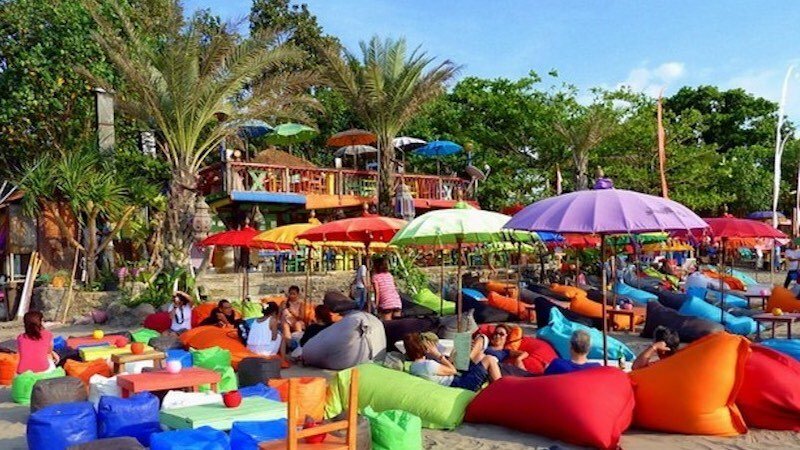 This area is the perfect spot for people who want to avoid the crowds that are typical for the most popular places in Bali. 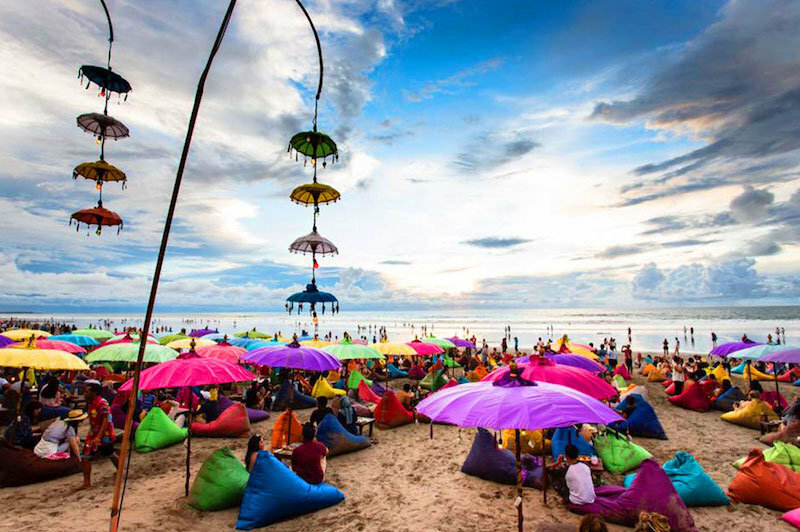 Legian Beach Bali is one of the favorite spots for people who want to learn how to surf, like Kuta Beach. You can do this on your own or hire an instructor there. 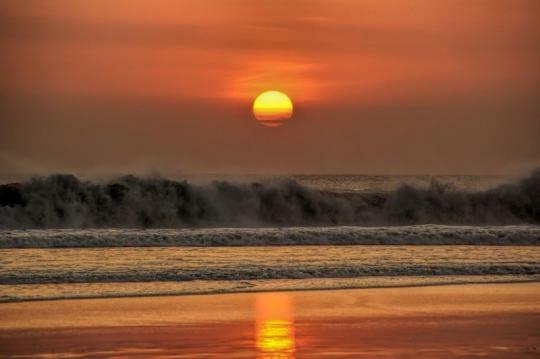 Legian Beach is an extraordinary quiet area that has fine sand and clear waters. Keep in mind that due to strong currents, it is not recommended to swim in this area. Close to Legian, travelers can find a myriad of resorts and other accommodation options. In addition, when you are there, you can also check some of the many pubs, bars, restaurants/warungs and shops of different kinds including the ones focused on souvenirs. Keep in mind that some of the prices of items found here are higher because this is a popular tourist destination. What many people like about this place is the spectacular sunset. Before the sunset comes, you will notice that many of the beachgoers are taking their cameras in their hands so they can capture the amazing view. It’s also worth mentioning that the seashore is cleaned with big machines on a daily basis during the holiday season. As we mentioned before, Legian Beach is known as a quiet area among locals and foreign visitors that have visited different Bali Beaches. Of course, this doesn’t mean that you can’t do anything while you are there. On the contrary, many people use it to get involved in different activities. For instance, just like any other part of the Balinese shore, you can use for sunbathing. Additionally, many people who want to learn to surf are headed to this area because even though there are many waves in this area, these waves come in a perfect size for beginner surfing. This is a place where you can also rent a board at a relatively low price – no more than 50.000 Rps. The list of things to do in Legian Beach doesn’t end with surfing. You can also try boogie board, sunbathing, rest and some other activities. Those looking for a complete relaxation can try some of the special bar/warungs on the foreshore with live music performances. These events are even better when you are witnessing the performances during the sunset. Obviously, you can also enjoy sunbathing just like most of the visitors at this place do every day during the holiday season. Even though Legian Beach can be used by professionals, it is mostly used by surfing beginners. The winds come from the east and develop some great waves for those who want to learn how to surf. The water is clean and warm. This is one of those places that are ideal for resting and enjoying nature. Most of the time, this seashore is not overcrowded and it’s easy to find a free spot. Take a book and enjoy your sunbathing here. Popular place. There are many different bars and warungs where you can find a wide array of foods and drinks. Try some cocktails and enjoy the traditional Balinese cuisine while you are there. Of course, you can also find live music. We have already mentioned that you can find this area in South Bali. This part of The Island of the Gods has a similar climate like the rest of the island even though it has certain differences. This seashore is located south of the equator. This means that the area has a tropical wet and dry climate. In other words, the weather is hot and humid throughout the year. People can witness only a slight temperature change all-year round. The Legian Weather is 28 degrees C.
Legian weather has a year with two different seasons – wet and dry. The first one starts in November and ends in April. On the other hand, the dry season starts in May and ends in October. If you are planning on going there, it would be best to come there between April and August. This period of the year is especially good for those who want to get involved in surfing activities. Keep in mind that regardless of the season, the temperatures here are not extreme even though you have to be prepared for a combination of humidity and heat which is especially noticeable between November and April. DO YOU WANT TO KNOW LEGIAN AREA ? Legian hotel options provide a wide range of accommodation solutions that will probably meet and exceed all of your needs. Generally speaking, we can separate these hotels and other accommodation solutions into two categories – cheap and expensive. There are some hotels that are next to the beach like the Jayakarta Hotel, Sari Hotel and the Bandha Hotel & Suites, or Double-Six Luxury hotel. And some hotels that are relatively close to his area like Melasti Bali Resort and Three Brothers Inn. The good thing is that you can find accommodation at different rates and with amenities that modern travelers will find useful. The Legian Beach Map is quite simple because this area has a simple form. This is a relatively small part of the shore – just a couple of hundred meters long, but it’s wide enough to accommodate many beachgoers. You can explore it on foot and you can get there by bike, rent-a-car, and taxi. The airport is located south of the area. There is a road that follows the line of the shore – Jl. Pantai Legian. There is a parking for those who want to come here by car, but you should be prepared to pay a small fee for this service.